"Essential Question: How do India's rich history and culture affect the world today? The Big Idea: Indian civilization first developed on the Indus River. The Big Idea: Hinduism, the largest religion in India today, developed out of ancient Indian beliefs and practices. The Big Idea: Buddhism began in India and became a major religion. The Big Idea: The Mauryas and the Guptas built empires in India. The Big Idea: The people of ancient India made great contributions to the arts and sciences. 6.3a Humans living together in settlements develop shared customs, beliefs, ideas, and languages that give identity to the group. 6.3b Complex societies and civilizations share the common characteristics of religion, job specialization, cities, government, language/record keeping system, technology, and social hierarchy. People in Mesopotamia, the Yellow River valley, the Indus River valley, and the Nile River valley developed complex societies and civilizations. Students will explore at least two river valley societies and civilizations: one in the Middle East (Mesopotamia or Nile river valley), one in South Asia (Indus River valley), or one in East Asia (Yellow River valley) by examining archaeological and historical evidence to compare and contrast characteristics of these complex societies and civilizations. 6.3c Mesopotamia, Yellow River valley, Indus River valley, and Nile River valley complex societies and civilizations adapted to and modified their environment to meet the needs of their population. 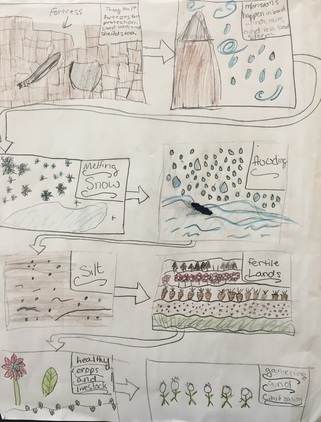 Students will explore how the selected complex societies and civilizations adapted to and modified their environment to meet their basic needs of food, clothing, and shelter. 6.3d Political and social hierarchies influenced the access that groups and individuals had to power, wealth, and jobs and influenced their roles within a society. Students will compare and contrast the gender roles, access to wealth and power, and division of labor within the political and social structures of the selected river valley societies and civilizations. 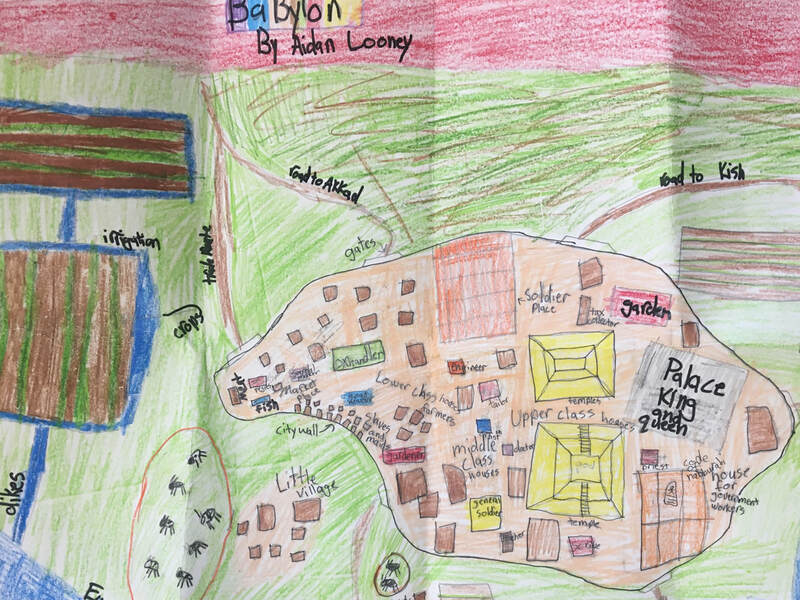 Students will examine the unique achievements of each of the selected complex societies and civilizations that served as lasting contributions. 7) Video: Follow steps 1-5 and go to Learn 360: Sri Ranganathaswany Temple, India. 8) Video: Follow steps 1-5 and go to to Learn360: India. 10) Video: Follow steps 1-5 and go to Learn360: Going to School on a Bus: Going to School in India. 11) Video: Follow steps 1-5 and go to Learn360: Going to School on a Mountaintop: Going to School in India. 12) Video: Follow steps 1-5 and go to to Discovery Education: The Caste System and Education. 13) Video: Follow steps 1-5 and go to Discovery Education. Eureka! : The India File. Celebrations. Homework due Tuesday, November 27, 2018: Students will create an India word web in the "Ancient India" packet. Students will analyze the visual and text features found on pages 140-141. Write at least 6 examples of visual features and at least 6 examples of text features. Classwork, Monday, November 26, 2018: Introduction to Module 5, "Ancient India." Students will listen to Indian music as they enter the room. Students will make a list or a word web in their "Ancient India" packet of what comes to mind as they hear the music. What images do you imagine? What smells do you imagine? What do you feel as you listen to this type of music? What do we know about other civilizations that help us to infer about what we will learn about Ancient India? What do you already know about India? Students will analyze (examine carefully, breaking it into components to understand it) text and visual features. After analyzing text and visual features, students will infer what they will learn about India. Before we begin to gather information on Module 5, Ancient India, we will go over the directions to the India Drawing Project that will be due December 11, 2018. Each student will receive one sheet of large drawing paper for this project. If a student loses or ruins their large drawing paper, it is their responsibility to buy another sheet of paper to complete the project. See above for directions. Mrs. Looney will explain, model, and demonstrate how to analyze the visual and text features found on pages 140-141 in the social studies textbook. Mrs. Looney will explain, model, and demonstrate how to infer what we might learn about India. In small groups, students will share and discuss images and thoughts of what they already know about India. ​In small groups, students will analyze the visual and text features found on pages 140-141. Students will make a list of the text and visual features. Then students will decide how these text and visual features are going to help prepare us for this chapter. In groups, students will analyze the photo found on page 140. What inferences can you make about India while studying this photo? Make a list of your inferences. As we progress through the module, as the students watch the videos below, they will check to see if their inferences are correct. They will also write down questions that they may have about the videos and the module. 2) Click on "CABOCES Digital Kids" found under the photo of the girl with the computer. 3) Click on "Login" under the key symbol. 4) Put in your username and password. 4) Once you are logged in, first click on to the Learn360 resource. 5) After clicking onto Learn 360, you can then click on the highlighted links below. Video: Learn360. Varanasi. https://learn360.infobase.com/p_ViewVideo.aspx?xtid=69430&tScript=0 See above for directions on how to get to this Snap.CABOCES video. INDIA DRAWING PROJECT: Due December 17, 2018. The drawings below are just samples of the TYPE of the village drawing that is encouraged. The drawings are NOT of the Indian Civilization, but of other civilizations. Only use the drawings below of the caliber and quality of work that is expected. Use the directions found above or found on page 1 in your Ancient India packet for more details as to what to add to your drawing. PLEASE USE A RULER. As you can see, this is NOT an Indian village. You are to draw an INDIAN VILLAGE. This is just a sample that should give you ideas as to how the layout could look. This project is very well done. This historian and artist spent many, many hours on this project. She first drew the village in pencil. Then she went over the drawings using an ULTRA fine point Sharpie. The Sharpie makes the drawing look professional. Then she colored in the drawings with colored pencils. She went over the border with marker. She used a bit of crayon. In my opinion, I think that it would have looked better with all colored pencil and I don't think she should have used the brown marker and crayons. But that is just my opinion. She had a key on the bottom. 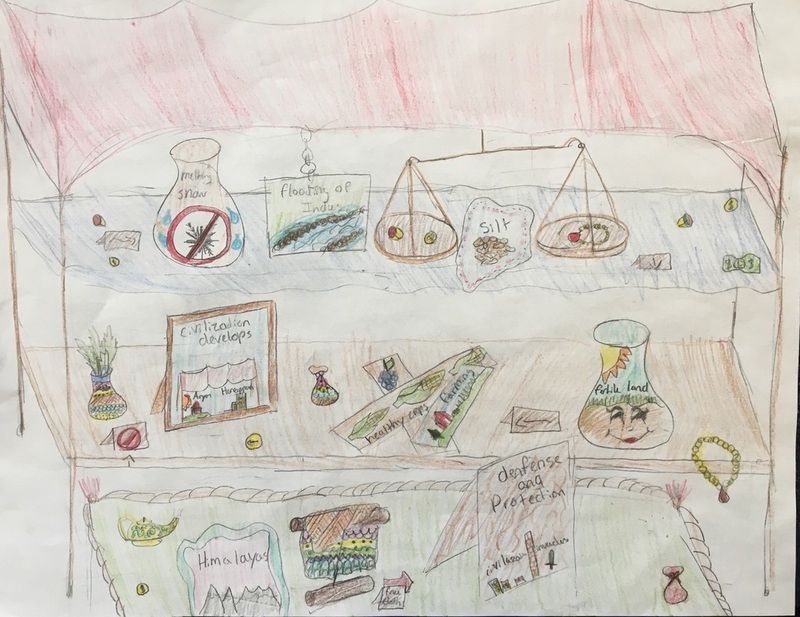 She did not put a title on her drawing. She could have used a ruler. Use the directions found above or found on page 1 in your Ancient India packet for more details as to what to add to your drawing. As you can see once again, this example is NOT an Indian village. You are to draw an INDIAN VILLAGE. This is just a sample that should give you ideas as to how the layout could look. I love this drawing. This historian and artist drew the village in pencil first. Then he went over parts of the labeling using an ULTRA fine point Sharpie. As you know, I love how fine point Sharpies make a project look professional. He included a title that is easy to see and a key. He labeled the drawings well. I love how he added the types of social hierarchy on the bottom left-hand corner. The only thing that would make this drawing even better would be if he used a ruler. This artist and historian drew the village in pencil first. Then he went over the labels using an ULTRA fine point Sharpie. As you know, I love how the ULTRA fine point Sharpie looks on projects. He labeled his drawing well. He chose not to use a key. He then went over the drawing in crayon. Colored pencils seem to work a bit better, but crayons work as well. This artist has a hard time drawing images. (So do I!) 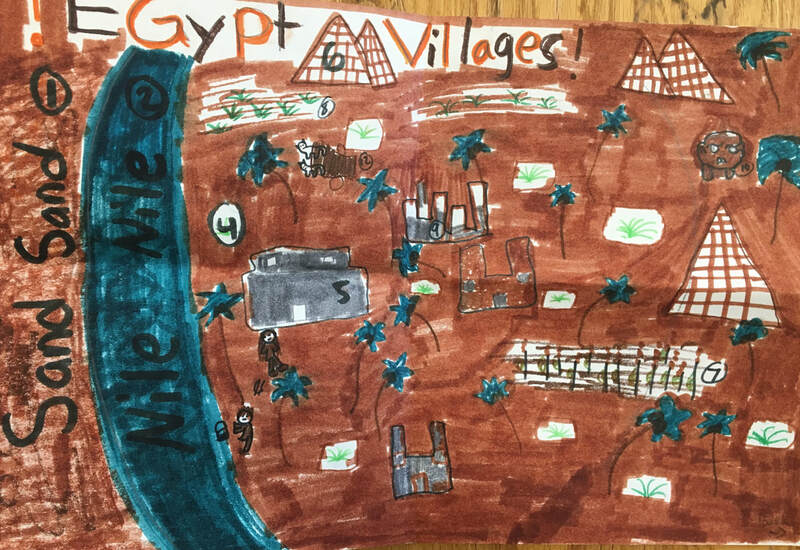 He did what I would have done: created his village using shapes and lines of different sizes. I find this drawing very interesting. The only thing he could have done better is to have used a ruler. The drawing would look more professional if he used a ruler for the shapes. If you are a student in my class you already know how I feel about markers. I do not like the way markers look. (Except for ultra fine point Sharpies! They are the best!) In my opinion, markers look sloppy. Most of the time the coloring isn't even, the color bleeds, or fades. I think that colored pencils work best. Homework due Wednesday, and Thursday, November 28, and 29, 2018: Four Basic Principles of Jainism: diagram. What are some examples of different religions in the world? Write the answers in your "Ancient India" packets. Question: What is religion? An organized system of beliefs, ceremonies, and rules used to worship a God or a group of gods. Mrs. Looney will read the book Faith written by Maya Ajmera. Definition of concept: Students will be able to list the Four Basic Principles of Jainism. Critical attributes: Students will be able to describe the critical attributes of the Four Basic Principles of Jainism. Examples: Students will be able to describe examples of the Four Basic Principles of Jainism. ****Students will list the Four Basic Principles of Jainism. ****Students will analyze (examine carefully, breaking it into components to understand it) the Four Basic Principles of Jainism. ****Students will write the principles of Jainism in their own words. ****Students will draw a diagram that depicts and explains, through the use of symbols, the four basic principles of Jainism. Students will describe and explain examples of the Four Basic Principles of Jainism. Does anyone have any other reasons why this lesson is important academically? Why do we analyze information? Why do we compare academic information and concepts to our personal lives? Does anyone have any other reasons why this lesson is important in your life? Why do we learn about religions that might be different than our own? As a class we will read pages 157-158 in the social studies textbook. We will discuss our understanding of the principles of Jainism. Mrs. Looney will walk the students through the steps of their assignment. Mrs. Looney wants to make sure that the students are completely prepared for the assignment before they will work independently. Are students able to correctly describe the concept of Jainism that was just taught? 1) Read pages 157-158 in the social studies textbook. 2) On four different Post-it notes, students will write at least one question that they have about each of the four principles of Jainism. Students will place these Post-it notes on the posters around the room. We will be addressing these questions tomorrow on Thursday. 3) Students will receive five note-cards. One the first note-card, students will write the title: "Principles of Jainism." Students will fold the other four note-cards in half. On one half of each of the note-cards, students will list the each of the four basic principles of Jainism. 4) On the other half of the the note-card, in your own words, list the four basic principles of Jainism. For example, "Jains believe that all life is sacred and that people, animals, and plants should not be killed." We will utilize these note-cards tomorrow. 5) Students will analyze (examine carefully, breaking it into components to understand it) the Four Basic Principles of Jainism. 6) Draw a diagram that depicts and explains the four basic principles of Jainism. Organize your thoughts, what you have learned, facts, and ideas using boxes, circles, arrows, pictures, symbols, etc. Use bright vibrant colors to represent the value of color in the Indian culture. The diagram is due on Wednesday, November 28, 2018. 7) On Wednesday, in small groups, students will describe and explain examples of the Four Basic Principles of Jainism depicted on their diagram. 8) On Thursday, students will compare the Four Basic Principles of Jainism to the students' individual beliefs and values. Homework due Friday, November 30, 2018: None. Paperwork: Accountability Checklist. Have students complete the checklist and keep it in their binders for reference and reminders. They will fill out another copy of the Accountability Checklist next week. Students will watch a short video about Jainism. Mrs. Looney will continue to look for a different video that contains all four of the basic principles of Jainism. At this time she has not found one that is appropriate for 6th graders. Video: Jainism, DiscoveryEducation. https://app.discoveryeducation.com/learn/videos/87EB674C-318F-42C5-9975-A8A86BBE86AE?hasLocalHost=false See the directions above for information on to how to get to this Snap.CABOCES video. While watching the video, students will write at least one question or comment that they have about each basic principles of Jainism someplace on their four principles note-cards. Most specifically, students will be relating the four basic principles to their own values and their own lives, so their questions might relate to their own lives. What were some of the questions that you had yesterday? Pay particular attention to the video to try to find answers to the questions that you had yesterday. Many students wondered about "Injure no life." Did the video answer any of your questions from yesterday? What did we learn from the video? What new questions do we have after watching the video? Which principle did you have a hard time understanding? Many students did not understand "Own no property." How does that work? Are there groups in the United States that also follow this principle? Mrs. Looney will explain the connection between what the students already know and what they are going to learn next. Mrs. Looney will also explain briefly the topic of their next writing assignment. Their knowledge of the four basic principles will be evaluated informally by the level of questioning the share. 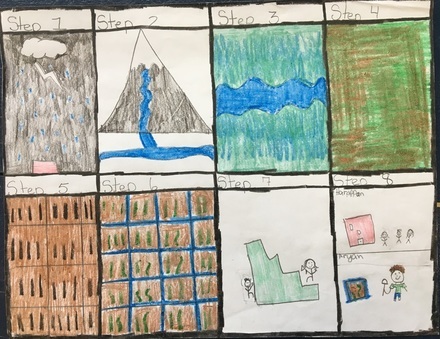 Their knowledge will be more formally evaluated by their Four Basic Principles diagram and by the paragraphs that they will write explaining how the principles relate to their own lives. Students will analyze (examine carefully, breaking it into components to understand it) the Four Basic Principles of Jainism. Students will compare the Four Basic Principles of Jainism to the students' individual beliefs. ***Students will question concepts of Jainism that are bewildering to them. ***Students will evaluate the importance of each of the four principles. ***Students will sort the Four Basic Principles into an order of importance and value to them. ***Students will identify which principle is the most important to them. Students will explain why the chosen principle is most important to them. Does anyone have any other reasons why this lesson is important in your life? Why is it important to learn about other people's beliefs and values? Why is comparing our beliefs to other culture's belief beneficial in our personal and social life? Mrs. Looney will explain the directions of what the students will do independently and in pairs. Mrs. Looney will model how to prioritize the note-cards. First, Mrs. Looney will complete the first step while students observe and then the students will complete the same step. Are students able to correctly describe the concept that was just taught? Mrs. Looney will evaluate their understanding by reading the students' note-cards. Students will evaluate the importance of each of the four principles. Which principle is most valuable to you? Students will sort the Four Basic Principles into an order of importance and value to them. Students will write agree, somewhat agree, and/or disagree on each of the note-cards to decipher whether or not they agree or disagree with each of the principles of Jainism. If students choose, students will number their note-cards in order of importance. Students will identify which principle is the most important to them. If students choose, students may put a star on the principle that is most important to them. Students will begin brainstorming reasons of why the chosen principle is most important to them. Students will list at least four reasons of why this principle is most important to them. Students will discuss in pairs reasons why they have chosen the principle. Partners will try to give each other at least two other reasons why this principle could be deemed most important or most valuable. Students will pick one of the basic principles of Jainism that they feel is the hardest to follow. Students will label that note-card as hardest to follow. EXTRA CREDIT: Draw a diagram that depicts and explains the two basic principles of Sikhism. Organize your thoughts, what you have learned, facts, and ideas using boxes, circles, arrows, pictures, symbols, etc. Use bright vibrant colors to represent the value of color in the Indian culture. Information on Sikhism can be found on pages 158-159 in your social studies text book as well as on page 37 in you "Ancient India" packet. Step One: As a class we will read and discuss page 158 (about Gandhi), and 160-163 in the social studies textbook. We will also read pages 18-21 in the "Ancient India" packet. Step Two: Individually, students will read and reread page 162 in the social studies textbook. Step Three: Individually, students will read and reread page 21 in the “Module 5: Ancient India” packet. Step Four: Students will write an essay with four body paragraphs, describe each one of the Four Noble Truths. Give examples of how you try to live out these values (or hope to live out these values) in your own life. Step Five: Refer to the outline for suggestions on how to organize your essay. Step Six: User the RACER graphic organizers and rubric to help you write a well-informed essay. Step Seven: Proofread your essay. Step Eight: By using the Adapted NYS 5th and 6th Grade Writing Rubric, assess the level of your writing. Step Nine: Make any improvements to your essay that are necessary to bring your writing to a higher level. Describe one example of the Four Noble Truths. Describe another example of the Four Noble Truths. Describe a third example of the Four Noble Truths. Describe a fourth example of the Four Noble Truths. Homework due Tuesday and Wednesday, December 11 and 12, 2018: Begin finishing up your Indian Village poster. Due December 17, 2018. Step One: Read and reread pages 160-163 in the social studies textbook. Step Two: Read and reread pages 21 and 22 in the “Module 5: Ancient India” packet. Step Three: Choose four of the steps in the Eightfold Path that you can relate to and connect to. Step Four: In four body paragraphs, describe each one of the Eightfold Path that you have chosen to analyze. Give examples of how you try to live out these values (or hope to live out these values) in your own life. Step Five: Refer to the outline on the other side of this page for suggestions on how to organize your essay. Step Six: Proofread your essay. Step Seven: By using the Adapted NYS 5th and 6th Grade Writing Rubric, assess the level of your writing. Step Eight: Make any improvements to your essay that are necessary to bring your writing to a higher level. Describe one example of the Eightfold Path. Describe another example of the Eightfold Path. Describe a third example of the Eightfold Path. Describe a fourth example of the Eightfold Path. Due to the iReady Assessments, we will not have writing and social studies lessons on Monday, Tuesday, and Wednesday of this week. Annotate the article "Gandhi Biography" found on pages 2 and 3 of the "Articles: Mahatma Gandhi" packet. Answer questions one and two on the "Mahatma Gandhi Questions Sheet" using two RACER Graphic Organizers. Students will read and annotate the social studies article "Gandhi Biography" found on pages 2 and 3 of the "Articles: Mahatma Gandhi" packet. Students will earn a grade for the annotations. Be sure that you aren't "highlighter happy"! Only highlight key words and quotes that you might want to use on your RACER. Be sure to ask at least five questions in the margins of the article as you annotate the article. Question #1: Describe one character trait of Mahatma Gandhi. Use two details from the text to support your response. Question #2: What lesson can be learned from Gandhi? Use two details from the article to support your response. QUESTIONS 1 AND 2: "Gandhi Biography"
5) Click "Log In" found in the upper right-hand corner. 1) Students will annotate the directions to essay found on page 1 in the "Informative Writing: Character Traits; Biography: Mahatma Gandhi" packet. 2) Students will read and annotate the articles "Gandhi Biography," "Mohandas Gandhi's Autobiography,"and "Mahatma Gandhi Anti-War Activist." 3) If you are finished with annotating while in class, begin the Outline found on page 7 of the packet. Students will name the character trait that most helps describe Gandhi. Students will analyze (examine carefully, breaking it into components to understand it) and annotate the articles "Gandhi Biography," "Mohandas Gandhi's Autobiography,"and "Mahatma Gandhi Anti-War Activist." How many questions should I ask while annotating? Students will read and annotate the articles "Gandhi Biography," "Mohandas Gandhi's Autobiography,"and "Mahatma Gandhi Anti-War Activist." What are Gandhi's rules to live by? What are traits that characterize Gandhi? What are some similar character traits that you and Gandhi both possess? TASK: Write an essay describing character traits of Mohandas Gandhi. As you are reading, continue to think about the character traits of Mohandas Gandhi. Decide on ONE or TWO traits that characterize Gandhi. On the pages of the article, write the name of one or two character traits that you feel best describe Gandhi. While rereading the articles, highlight EVIDENCE that PROVES and supports the traits that you have chosen that represent Gandhi. Highlight four or five pieces of evidence (or quotes or facts that prove or support the traits you have chosen for Gandhi). Write an essay describing one or two character traits of Gandhi. Use evidence from the text to prove your inference of what character trait or traits that Gandhi has. Also, in one of your paragraphs, describe how you have a similar character trait of Gandhi. Homework due Tuesday, Wednesday, and Thursday, January 15, 16, and 17: None. Classwork: Monday, Tuesday, and Wednesday, January 14, 15, and 16, 2019: All of our lessons this week will be utilizing the awesome new website "Nearpod." Homework due Thursday, Friday, and Tuesday, January 17, 18, and 22, 2019: None. Classwork, Thursday, Friday, and Tuesday, January 17, 18, and 22, 2019: Themes in the life of Dr. Martin Luther King, Jr. Homework due Thursday, Friday, Tuesday, Wednesday, and Thursday, January 17, 18, 22, 23, 24, and 25, 2019: None. Character Traits of Dr. Martin Luther King, Jr.
What is the producers point of view? WOULD YOU PARTICIPATE IN THE CHILDREN'S MARCH ESSAY? Homework due Monday, January 28, 2019: Complete workbook Lesson 1 (pages 53-55), Lesson 3 (pages 59-61), Lesson 4 (pages 62-64), and Lesson 6 (pages 68-70). Students will complete all of the above assignments in the social studies workbook. The answers will be completed in complete sentences. All of this work is due on Monday morning. LESSON 1: Read and annotate pages 53 and 54 in the workbook. LESSON 1: Complete the five tasks that are on the right side of pages 53 and 54. Restate and answer in complete sentences. LESSON 1: Complete questions 1-11 on page 55. LESSON 3: Read and annotate pages 59 and 60 in the workbook. LESSON 3: Complete the four tasks that are on the right side of pages 59 and 60. Restate and answer in complete sentences. LESSON 3: Complete questions 1-8 on page 61. LESSON 4: Read and annotate pages 62 and 63 in the workbook. LESSON 4: Complete the five tasks that are on the right side of pages 62 and 63. Restate and answer in complete sentences. LESSON 4: Complete questions 6, 7, and 8 on page 64. LESSON 6: Read and annotate pages 68 and 69 in the workbook. LESSON 6: Complete the five tasks that are on the right side of pages 68 and 69. Restate and answer in complete sentences. LESSON 6: Complete questions 1-10 on page 70. For the next few weeks we will be reading, analyzing, annotating, discussing, and writing informational texts about Mohandas Gandhi. Several skills are needed to be able to complete these tasks. Each skill will be broken down, modeled, practiced, and practiced again. Students will work as a whole class group, in pairs, and independently. Video: Gandi. Nonviolence. Learn360. http://www.learn360.com/ShowVideo.aspx?lid=22195364&SearchText=gandhi&ID=256219 See the directions above for information on to how to get to this Snap.CABOCES video. Video: Gandhi. The Salt March. https://app.discoveryeducation.com/learn/videos/D2047F6D-869B-41CF-9C51-62DC90C23BEE?hasLocalHost=false See the directions above for information on to how to get to this Snap.CABOCES video. Activate Prior Knowledge: Show a picture of Dr. Martin Luther King Jr. and a picture of Gandhi on the SmartBoard. Does anyone know who this is? Has anyone ever seen a picture of this man? These men have much in common. Can you take a guess as to what these men have in common? Dr. Martin Luther King Jr. learned many things from this man. Mrs. Looney will explain the connection between what the students already know about what they learned about Buddhism and what they are going to learn next. I can identify facts about Gandhi. I can make inferences about Gandhi, his character traits, and the rules that he lived by. Mrs. Looney will model reading the article "Gandhi Biography." As she is reading, students will begin to make a list of character traits, and possible rules to live by that Gandhi might have written if he were alive (a list of rules to live by from Gandhi's point of view). Skill Development: Students will identify ideas and make inferences about Gandhi. Personal Importance/Real Life Importance: Does anyone have any other reasons why this lesson is important in your life? How can we use what Gandhi has taught us? Guided Practice: Students will perform their initial practice step-by-step at the same time as a whole group. First, Mrs. Looney will complete the first step on the SmartBoard and then the students will complete the same step. We will refer to the text and make inferences about Gandhi's character traits and rules to live by. Gradually, students will begin to do the steps individually. 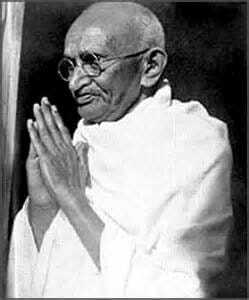 As a class we will complete a graphic organizer about our inferences of what Gandhi's rules to live by might be, as well as his character traits. By the end of the guided practice, students will be able to perform the steps individually. Closure: Mrs. Looney wants to make sure that the students are completely prepared for the assignment before they begin working independently. Are students able to correctly describe the concept that was just taught? Are students able to tell why it is important to learn the information that they have just been taught? Are students able to complete the skill that has just been taught to them? Mrs. Looney will know this by looking at the students compilation of Gandhi's rules. While reading, students will make a list of "Rules to Live By" that Gandhi could have written if he were still alive. Students should list at least ten rules to live by from Gandhi's point of view. Students will also fill out the list of character traits of Gandhi. What conclusion can we make about Gandhi? Something else to think about as you are reading the articles: compare yourself to Gandhi. Have you went through similar struggles in your life? Are there certain traits you think you share? Homework due : Why is child labor wrong? How would you feel as a child worker? What can you do to combat child labor? Students will draw a picture OR write one paragraph to answer the three questions above. This is due tomorrow, for a grade. Share with students that today they will begin a new life. They are going to be taken far away from home and taught a skill so they can work and earn money. They will no longer have to go to school. Share with students that they have now been taken hundreds of miles from home to work in a rug-making factory. They must work from 8am to midnight. If they make a mistake they will be punished. Be very clear to students about the reality of their new lives and how their lives will be different (10min). Video: Learn360. Mumbai. http://www.learn360.com/ShowVideo.aspx?GradeLevel=3360057&lid=22195364&MediaFormat=22186805,3360063&SearchText=india&ID=760464 See above for directions on how to get to this Snap.CABOCES video. Video: Learn360. Going to School on a Bus: Going to School in India. http://www.learn360.com/ShowVideo.aspx?lid=22195364&SearchText=schools+in+india&ID=1215791 See above for directions on how to get to this Snap.CABOCES video. Video: Learn360. Going to School on a Mountaintop: Going to School in India. http://www.learn360.com/ShowVideo.aspx?lid=22195364&SearchText=schools+in+india&ID=1215736 See above for directions on how to get to this Snap.CABOCES video. Students will either draw a picture OR write a paragraph reflecting on this lesson. Students must reflect on how they feel on the issue of child labor (why is it wrong?, how would you feel as a child worker?, what can you do to combat child labor?). This is due tomorrow, for a grade, written in the social studies notebook. ead the Major Beliefs of Hinduism on page 157 and the captions under the photos. Read "Life and Rebirth" pages 156. Video: Learn 360. Sri Ranganathaswany Temple, India. http://www.learn360.com/ShowVideo.aspx?GradeLevel=3360057&lid=22195364&MediaFormat=22186805,3360063&SearchText=india&ID=760822 See below for directions on how to get to this Snap.CABOCES video. Video: Discovery Education. The Caste System and Education. https://app.discoveryeducation.com/learn/videos/99922120-fd71-4c00-ad2c-1b20031c665e See below for directions on how to get to this Snap.CABOCES video. Video: Discovery Education: The Caste System Today. https://app.discoveryeducation.com/learn/videos/1245F9CA-8917-45D2-AAC7-57332BE833D6?hasLocalHost=false See below for directions on how to get to this Snap.CABOCES video. Skill Development: Students will analyze (examine carefully, breaking it into components to understand it) the facts found on pages 155-157 in the social studies textbook. Students will categorize the facts into the GRAPES note-taking outline. 4) Once you are logged in, first click on to the Learn360 resource icon. 5) After clicking onto Learn360 icon, you can then click on the highlighted links below. Varanasi Video: Learn360. Varanasi. http://www.learn360.com/ShowVideo.aspx?GradeLevel=3360057&lid=22195364&MediaFormat=22186805,3360063&SearchText=india&ID=760803 See above for directions on how to get to this Snap.CABOCES video. Rural India: https://learn360.infobase.com/p_ViewVideo.aspx?xtid=133103&loid=475359&tScript=0# See above for directions on how to get to this SnapCABOCES video. Homework due day, , 2018: Continue to read pages 144-145 in the textbook and complete a cause and effect chart of the effects of geography on ancient India. Each student should have at least three causes and three effects. Be sure to add the words that signal the cause and effect. Devise a chart and/or draw a diagram that depicts the causes and effects of the Himalayas and Indus River on ancient India. See below for samples. What is the effect when you take out a tray of ice and place it on the table? 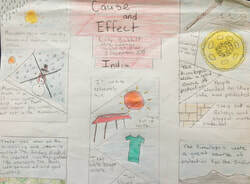 Students will write an example of a cause and effect on a whole page of their notebook. Mrs. Looney will explain the connection between what the students already know and what they are going to learn next. Why did India's first civilizations develop along the river areas? Learning Objective: Identify causes and effects of the of the first civilizations in India. Cause: something that makes another thing happen. Effect: the result of something else that has happened. Students will examine the map found on page 125. We will be discussing the causes and effects of the geography and climate in India. Mrs. Looney will model finding the answer to our key question of the day. "Why did India's first civilizations develop along the river areas?" What is the effect? Mrs. Looney will read page 125 and will write down the causes and effects found on that page. She will also write down the signal words. UNFORTUNATELY THE VIDEO BELOW NO LONGER SEEMS TO BE AVAILABLE. MRS. LOONEY IS HAVING A HARD TIME FINDING ANOTHER VIDEO TO REPLACE THE VIDEO BELOW. PLEASE DISREGARD THE VIDEO BELOW. Video: Learn360. Roof of the World. http://www.learn360.com/ShowVideo.aspx?GradeLevel=3360057&lid=22195364&MediaFormat=22186805,3360063&SearchText=india&ID=760500 See below for directions on how to get to this Snap.CABOCES video. UNFORTUNATELY THIS VIDEO NO LONGER SEEMS TO BE AVAILABLE. MRS. LOONEY IS HAVING A HARD TIME FINDING ANOTHER VIDEO TO REPLACE THE ABOVE VIDEO. PLEASE DISREGARD THIS VIDEO. Skill Development: Students will identify the causes and effects of the first civilizations in India. Cause and effect: When heavy snows of the Himalayas melted, the Indus flooded which left behind a layer of silt which created ideal farmland. Personal Importance/Real Life Importance: Does anyone have any other reasons why this lesson is important in your life? What would be some examples in your personal life of when it would be important to understand cause and effect? Guided Practice: Mrs. Looney will continue to model how to find the causes and effects and how to complete the graphic organizer. Students will perform their initial practice step-by-step at the same time as a whole group. First, Mrs. Looney will complete the first step on the SmartBoard and then the students will complete the same step. Gradually, students will begin to do the steps individually. As a class we will begin to complete the graphic organizer. By the end of the guided practice, students will be able to perform the steps of finding the causes and effects and completing the graphic organizer individually. Closure: Mrs. Looney will make sure that the students are completely prepared for the assignment before the students begin. Are students able to correctly describe the concept that was just taught? Are students able to tell why it is important to learn the information that they have just been taught? Are students able to complete the skill that has just been taught to them? Independent Practice: Continue to read pages 124-126 and complete the cause and effect chart. Each student should have at least three causes and three effects. Be sure to add the words that signal the cause and effect. 5) After clicking onto Learn 360, you can then click on the highlighted link below. Homework due : Continue to read pages 144-145 and complete the cause and effect chart. Each student should have at least three causes and three effects. Be sure to add the words that signal the cause and effect. Devise a chart and/or draw a diagram that depicts the causes and effects of the Himalayas and Indus River. See above for examples. If you eat too much turkey your stomach will hurt. When students arrive in class they will begin analyzing the visuals found in the history close-up "Life in Mohenjo Daro," pages 146-148. What is one effect of having a well-developed city? Discuss the answer with the person sitting next to you. Write one effect on a page in your notebook. Mrs. Looney will explain the connection between what the students already know and what they are going to learn next. "After the Harappan crumbled, a new group arrived in the Indus Valley." Aryans. Aryans: settled in villages (not big cities) and began to farm. Sanskrit: most important language in ancient India. No longer spoken today. Learning Objective: Identify the causes and effects of the Himalayas and Indus River. Devise a chart and/or draw a diagram that depicts the causes and effects of the Himalayas and Indus River. Mrs. Looney will model reviewing the causes and effects that were found in the pages that were read for homework. 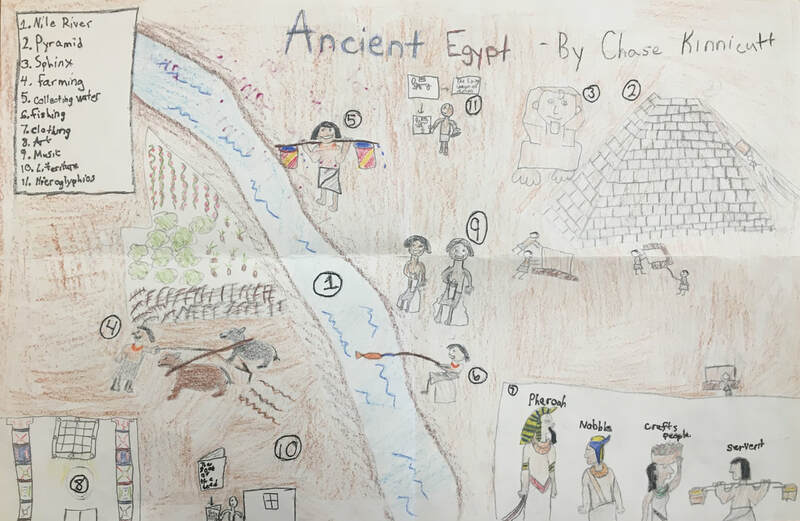 She will also wonder if any of the effects found on the "Life in Mohenjo Daro" drawing can help with our learning objective. She will also think out loud of how she will depict the causes and effects of the Himalayas and Indus River. Skill Development: Devise a chart and/or draw a diagram that depicts the causes and effects of the Himalayas and Indus River. Closure: Mrs. Looney wants to make sure that the students are completely prepared for the assignment before they begin to work on it independently. Are students able to correctly describe the concept that was just taught? Are students able to tell why it is important to learn the information that they have just been taught? Are students able to complete the skill that has just been taught to them? Independent Practice: Continue to read pages 144-145 and complete the cause and effect chart. Each student should have at least three causes and three effects. Be sure to add the words that signal the cause and effect. Devise a chart and/or draw a diagram that depicts the causes and effects of the Himalayas and Indus River. Due , 2018. See above for examples. Homework due Wednesday, , 2018: None. Classwork, Tuesday, 2018: Section 2: "Origins of Hinduism"
Over the next few days we are going to be learning about some very important world religions. What are some examples of different religions in the world? Write the answers in your social notebooks. I can study the origins of Hinduism. I can write key facts and questions into the GRAPES note-taking outline. Hinduism-the largest religion in India today. Aryan society became divided into groups. "Strict rules developed about how people in different groups could interact." Varnas: social divisions. This led to the caste system. Does this system still exist today? Birth, wealth, or occupation. Question to ask our guest speaker. What would that be like to be born into that caste? Do we have any similarities in our society? "Why do you think priests were at the top of Indian society?" Read the Major Beliefs of Hinduism on page 157 and the captions under the photos. Guided Practice: Students will perform their initial practice step-by-step at the same time as a whole group. First, Mrs. Looney will complete the first step on the SmartBoard and then the students will complete the same step. Gradually, students will begin to do the steps individually. As a class we will begin to complete a graphic organizer. By the end of the guided practice, students will be able to perform the steps individually. Independent Practice: After reading pages 155-157 in the social studies textbook, students will categorize and write key facts and questions into the GRAPES note-taking outline. 5) After clicking onto Learn 360, you can then click on the highlighted video links above. Homework due , 2018: Four Basic Principles of Jainism, Basic Principles of Sikhism: diagram and paragraphs. 1) Read pages 157-159 in the social studies textbook. 2) In the packet, in your own words, write down the four basic principles of Jainism. 3) In the packet, in your own words, write down the basic principles of Sikhism. 5) Pick one of the basic principles of Jainism and/or Sikhism that you feel is the hardest to follow. You will earn a separate grade for the diagram AND a grade for the paragraphs. Activate Prior Knowledge: Dr. Martin Luther King Jr. and Mahatma Gandhi. What are they known for? Struggling for justice through nonviolent actions. Discuss the difference between violence and nonviolence. Mrs. Looney will explain the connection between what the students already know and what they are going to learn next. Learning Objective: Students will evaluate the four basic principles of Jainism and the principles of Sikhism and will compare their basic principles to our values. Sikhism: monotheistic, blended ideas from Hinduism and Islam, believed in reincarnation, pray several times a day, wear turbans. 2. Treat all people equally. Video: Sikhism. DiscoveryEducation. https://app.discoveryeducation.com/learn/videos/3b1eeedb-2f4d-4d7f-96c8-0d9f0aa1fdc6 See the directions above for information on to how to get to this Snap.CABOCES video. Video: Sikh Celebration. DiscoveryEducation. https://app.discoveryeducation.com/learn/videos/1AD86668-00C6-4AB6-9483-D5EAFB3F8173?hasLocalHost=false See the directions above for information on to how to get to this Snap.CABOCES video. Skill Development: Students will evaluate the four basic principles of Jainism and the principles of Sikhism and will compare their basic principles to our values. As a class we will read page 158 in the textbook. We will discuss the principles of Jainism and Sikhism while we watch the above videos. Students will present their diagrams and their opinions on which principle of Jainism is the hardest to follow. Do you recognize these images? Do you know which religion values these images? Homework due Monday, December , 2018: SEE THE WRITING PAGE. Assessments #1, #2, and #3. See below. Assessment #1: On loose-leaf, students will write about six of the steps in the Eightfold Path and will give examples of how they live out these values (or hope to live out these values) in their own life. See attachment below for more details. Assessment #2: On loose-leaf, students will inform the reader about the Four Noble Truths. Students will write their opinions of the Four Noble Truths. Students will also pick one of the Noble Truths and write about how it relates to their own values.This essay should have at least five paragraphs. Students will also choose two of the steps in the Eightfold Path that they want to work on in their life.See attachment below for more details. Due Friday, December 18, 2015. Assessment #3: On computer paper, students will either draw a t-chart or write a few paragraphs to show the similarities and differences of Hinduism and Buddhism. See attachment below for more details. Learning Objective: Students will brainstorm a list of pertinent questions to ask our guest speaker. What would constitute "pertinent" questions? Students will use their social studies textbook to help guide their questions. If there is time, we will watch another video about Hinduism and the caste system. See lesson from yesterday. Closure: As a class we will compile a list of questions. Each student will have one question prepared for the speaker. Homework due day, and sday, , 201: The two Reading Check Questions are due on . See below. Answer the Reading Check Question found on page 162 in the social studies textbook (answer on the RACE Graphic Organizer sheet). What did the Buddha conclude about the cause of suffering? Answer the Reading Check Question found on page 163 in the social studies textbook (answer on the RACE Graphic Organizer sheet). How did Buddha's teachings agree with Hinduism? Classwork, day, and day, sday, , 201: Section 3: Origins of Buddhism. THIS LESSON WILL TAKE SEVERAL DAYS. Activate Prior Knowledge: Students will write "RACER" in their social studies notebooks. They will fill in as much of the acronym as they can remember. Then, I will show a few slides of the laughing Buddha as well as other images of the Buddha. Does anyone recognize this person? What is the name of the major religion that is practiced in India? Write the name of that religion in your notebook: Buddhism. Learning Objective: Students will evaluate the Four Noble Truths of Buddhism and the Eightfold Path. Students will compare these basic principles to our values. Siddhartha was a rich boy who was dissatisfied with life and started searching for wisdom. He was on a quest for finding peace. He began a religion called Buddhism in India. Ancient India: The Impact of Buddhism as a World Religion, Learn 360 Video. http://www.learn360.com/ShowVideo.aspx?lid=22195364&SearchText=buddhism&ID=128215 See the directions above for information on to how to get to this Snap.CABOCES video. Introducing Buddhism, Discovery Education Video. https://app.discoveryeducation.com/learn/videos/7929c114-4053-49df-9dc1-46b58e56f849 See the directions above for information on to how to get to this Snap.CABOCES video. Origin of the Buddha, Discovery Education Video. The Four Noble Truths and the Eight-Fold Path of the Buddhism, Discovery Education Video. See the directions above for information on to how to get to this Snap.CABOCES video. Life of Buddhist Monks and Nuns. I can answer the Reading Check Question found on page 162 in the social studies textbook (answer on the RACE Graphic Organizer sheet). What did the Buddha conclude about the cause of suffering? I can answer the Reading Check Question found on page 163 in the social studies textbook (answer on the RACE Graphic Organizer sheet). How did Buddha's teachings agree with Hinduism? I can restate the question in my own words using the key words. I can answer the question accurately. I can write an introduction that is about four sentences long. I can use transition words by referring to the "What does the text say?" writing prompts. I can use information from the text to prove my answer. I can use one relevant, compelling, direct quote from the text to prove my answer. The quote is no longer than one sentence. I can use evidence that is related to the question and to my answer. I can use the "What does the author mean?" and/or the "Why does it matter?" writing prompts. I can explain my answer using key words from the text. I can explain my answer in ways that are relevant to the question. I can use t least three sentences in my explanation. Students will analyze and evaluate the Four Noble Truths of Buddhism and the Eightfold Path. Students will compare these basic principles to our values. While evaluating the principles of Buddhism (the Four Noble Truths of Buddhism and the Eightfold Path) students will think about their own values. What are some similarities between these principles and your own values? Guided Practice: We will begin by reading pages 160-163. As a class, we will begin to go over the meaning of each of the principles of Buddhism (the Four Noble Truths of Buddhism and the Eightfold Path). We will discuss examples of these principles in our own lives. We will discuss if this principle is a value to us in our lives today. By the end of the guided practice, students will be able to perform the steps individually. Closure: Mrs. Looney wants to make sure that the students are completely prepared for the assignment before I hand it out. Are students able to correctly describe the concept that was just taught? Are students able to tell why it is important to learn the information that they have just been taught? Are students able to complete the skill that has just been taught to them? Students will work in groups and continue the work that we were discussing as the whole class. Mrs. Looney will listen in to each group's discussion to check for understanding. Homework date yet to be determined: For homework, students will choose one of the Four Noble Truths and discuss how it relates to your own values. Students will also choose two of the steps in the Eightfold Path that they want to work on in their life. Independent Practice: The two Reading Check Questions are due on Tuesday. See below. Students will color "The Beginning of Buddhism" page in the packet as they listen to Indian music. 4) Once you are logged in, first click on to Learn360 and to Discovery Education on the Snap.caboces.org resources page. 5) After clicking on to Learn 360 and Discovery Education, you can then click on the highlighted links above. Homework due Friday, and Monday, , 201: None. Homework due 2018: Word Web is due on Tuesday. Questions are due on , 2018. Questions are to be completed on loose-leaf or in your social studies notebook. Activate Prior Knowledge: Students will begin writing a word web about all of the things that we have learned about India. Students will reflect and discuss ideas with the partner sitting next to them as each adds to their webs. There will be a grade for the brainstorm word web. Skill Development: I can identify different topics that were discussed during our India unit. I can evaluate, describe, and explain why what I have learned about India is important in my life. Students will complete the following task (Task #1). This is for a grade. Students will answer the following questions (Questions #1-#4) in paragraph form on loose-leaf. This assignment is due Tuesday, January 16, 2018. Students will earn a grade for the assignment. Students will write at least four paragraphs (one paragraph for each question). Task #1: Students will begin writing a word web about all of the things that we have learned about India. Students will reflect and discuss ideas with the partner sitting next to them as each adds to their webs. This is for a grade. Question #1: Look at your word web. While learning about India, which topics have been the most interesting to you? Why? Question #2: Why are these topics important to learn about? Question #3: What if all children were able to go to school? How would that affect the world in which we live? Question #4: Imagine that you live in India. What parts of life would be different? How do you feel about that? Homework due day, January , 2017: None. Classwork, day, January , 2017: “Take a Stand: Student Activism Around the World.” The video was developed for the United States Department of Education. 8. Identify rights and responsibilities of citizens within societies in the Eastern Hemisphere. Show students the introduction to the video. Students will analyze the video "Take a Stand" (examine carefully, breaking it into components to understand it). Students will describe an aspect of the documentary that showed something they hadn’t seen before, caused them to think in a new way, or helped them understand something more thoroughly than before. Students will practice taking notes while the documentary is playing, making sure that the notetaking doesn't interfere with carefully watching the film. In most instances, the students in the video were driven to action by some spark. Why do you think the students were willing to take these risks to stand up for what they believe in? Nonfiction can enrich viewers in several important ways. Describe an aspect of the documentary that showed you something you hadn’t seen before, caused you to think in a new way, or helped you understand something more thoroughly than before. Students will answer the questions on the worksheet. Students will discuss their answers in pairs. Students will complete the video analysis rubric. Students will offer suggestions as to what else we can add to this rubric. Homework due Tuesday, and Wednesday, , 201: GRAPES organizer is due on Wednesday. This is the MODULE 5 India end-of-the-chapter assessment. This is for a test grade. Homework due , 201: None. Activate Prior Knowledge: Students will think about a book they have just read or a show they have just watched. Students will turn to their partners and tell them the main idea of the book or show. What is a "main idea"? Skill Development: I can identify the main idea of a video. Main Idea: Brain Pop: https://www.brainpop.com/english/freemovies/mainidea/ See the directions above for information on to how to get to this Snap.CABOCES video. Video: Discovery Education. Eureka! : The India File. Celebrations. https://app.discoveryeducation.com/learn/videos/CC867F7C-E3C4-49CC-B478-0F4F496DBE7B See above for directions on how to get to this Snap.CABOCES video. Video: Learn360. Going to School on a Boat. http://www.learn360.com/ShowVideo.aspx?lid=22195364&SearchText=schools+in+india&ID=1215796 See above for directions on how to get to this Snap.CABOCES video. Video: BrainPop. Diwali. https://www.brainpop.com/socialstudies/culture/diwali/ See above for directions on how to get to this Snap.CABOCES video. Homework due Thursday, Friday, and Monday, January , , and , 2017: None. Due to the fact that we are typing up our Dream poems we will not have social studies homework on the days listed above. We will interweave our social studies into our Dream Unit in writing class as we analyze some of Dr. Martin Luther King's speeches and writings. We have one computer cart and not enough computers in it to use for our entire writing class so we will be doing our typing in social studies class for these next few days. Homework due Wednesday, Thursday, Friday, and Monday, January , , , and , 2017: None. Due to the fact that we are composing, publishing, revising, editing, and sharing our powerful poetry, we will not have social studies homework on the days listed above. We will interweave our social studies into our Dream Unit in writing class as we continue analyze some of Dr. Martin Luther King's speeches and writings as well as discover history through the inspiring poems of Langston Hughes. We have one computer cart and not enough computers in it to use for our entire writing class so we will be doing our poetry writing in social studies class for these next few days. Homework due Tuesday, Wednesday, and Thursday, December 19, 20, and 21, 201: Complete the GRAPES Organizer for the Ancient Egypt chapter. Due on Thursday, December 21, 2017. Utilize pages 120-151 in the social studies textbook to complete this assignment. Classwork, Monday, and Tuesday, December 18, and 19, 201: Introduction to Chapter 5, "Ancient India." In pairs, students will begin reading about Ancient India in our textbooks on pages 120-151. As we begin to gather our thoughts and ideas about "what we think we know about India" and as we read the chapter, students will fill out the GRAPES graphic organizer. As a class, we will begin reading about Ancient India in our textbooks on pages 120-151. Homework due Wednesday and Thursday, December and , 2016: None. Students may complete an extra credit assignment. See home page for details. Monday will be our Christmas Celebration in social studies class. Students are invited to bring in a snack to share. Most classes have 15 people in the class. Monday will be our Christmas Celebration in social studies class. Students are invited to bring in a snack to share. Most classes have 15 people in the class. Video number two: Madcon, Glow, Official Music Video. Homework due Tuesday, December 13, 2016: Read and answer three reading check questions. See below for directions. Read Section 3, "Origins of Buddism," pages 136-141 in the social studies textbook. In your social studies notebook, answer the THREE READING CHECK QUESTIONS found on pages 137, 139, and 141. ANSWER THESE QUESTIONS IN RACE FORMAT, IN COMPLETE SENTENCES, AND IN PARAGRAPH FORM! You will redo the assignment if you do not answer the questions in the RACE format. THIS IS A VERY LONG ASSIGNMENT. I highly recommend that you do not fool around in class, stay focused, and get as much of this work done in class as possible. ALL THREE OF THE QUESTIONS ARE TO BE COMPLETED FOR HOMEWORK BEFORE TUESDAY MORNING! This entire assignment is to be completed by Tuesday morning. Homework due Monday, January 15, 2018: None. Classwork, Friday, January 12, 2018: Themes in the life of Dr. Martin Luther King, Jr.
Classwork, Tuesday, January 16, 2018: Character Traits of Dr. Martin Luther King, Jr.
Below are some more videos that inform about Dr. Martin Luther King, Jr.'s life and values. Feel free to watch these videos at home or in study hall. Students will write two paragraphs in their social studies notebook describing character traits of Dr. Martin Luther King, Jr. USE THE RACE FORMAT!!!!! THERE WILL NOT BE ANY SOCIAL STUDIES HOMEWORK ON FRIDAY, TUESDAY, OR WEDNESDAY, JANUARY 13, 17, OR 18 DUE TO THE NECESITY OF TYPING OUR "CHALLENGES OF BEING A FIREFIGHTER" ESSAYS. "CHALLENGES OF BEING A FIREFIGHTER" ESSAYS WILL BE DUE ON THURSDAY, JANUARY 19, 2017. Homework due : Write the definitions AND SENTENCES of the 8 vocabulary words found on page 202 in the social studies book. Write the definitions AND SENTENCES for the 8 vocabulary words found on page 202 in the social studies textbook. You may copy the direct quote from the glossary of from the chapter. Be sure to use quotation marks!!! When you write your sentences, be sure that the sentences pertain to Chapter 7 "The Hebrews and Judaism." This is a preview to the next chapter we will be studying. Homework due, , 201: Three Reading Check questions are to be completed using the RACE Graphic Organizer. All three questions need to be completed EITHER on three SEPARATE RACE sheets OR may be completed in your social studies notebook IN PARAGRAPH FORM USING THE RACE FORMAT. Complete the following Reading Check Questions: page 148, page 149, AND page 151. Each question will be for a separate grade. Classwork, , 201: Complete the Reading Check Questions using the RACE format. Homework due Wednesday, and Thursday, January 24, and 25, 2017: Two paragraph short answer: Why did we discuss the Women's March? What did you learn? 1. Cite specific textual evidence to support analysis of primary and secondary sources. 4. Determine the meanings of words and phrases as they are used in a text, including vocabulary specific to domains related to history/social studies. 5. Describe how a text presents information (e.g., sequentially, comparatively, causally). 6. Identify aspects of a text that reveal an author’s point of view or purpose (e.g., loaded language, inclusion or avoidance of particular facts). 8. Distinguish between fact, opinion, and reasoned judgment in a text. Demonstrate respect for the rights of others in discussion and classroom debates, regardless of whether one agrees with the other viewpoint. Consider alternate views in discussion. Participate in negotiating and compromising in the resolution of differences and conflict; introduce and examine the role of conflict resolution. Identify and describe opportunities for and the roles of the individual in social and political participation at various times and in various locations in the Western Hemisphere. Identify situations with a global focus in which social actions are required and suggest actions. Develop an understanding of an interdependent global community by developing awareness of and/or engaging in the political process as it relates to a global context. Students will examine multinational organizations and nongovernmental organizations and their roles in promoting cooperation, peace, and cultural understanding. Recognize arguments on specific social studies topics and identify evidence to support the arguments. Examine arguments related to a specific social studies topic from multiple perspectives. Identify causes and effects from current events, grade-level content, and historical events. Distinguish between long-term and immediate causes and effects of an event from current events or history. Categorize and evaluate divergent perspectives on an individual historical event. What are some "traits" that make our country great? (Freedoms). Review from Fifth Grade: Colonies uniting against Britain. What steps did the colonists take to express their opinions to Britain? What were some important traits that Gandhi exhibited? How did he exhibit these traits? Not all countries around the world have these freedoms and rights. Skill Development: See the New York State Standards above for the skills that we will cover. Does anyone have any other reasons why this lesson is important academically? Why did we discuss the Women's March? Does anyone have any other reasons why this lesson is important in your life? Are there areas of your life (school, team, organization) where you can make changes? Mrs. Looney will explain why the Women's March is relevant to our Chapter 5: "Ancient India." We will watch primary source documents of news clips of the Women's March. We will discuss how different parts of the news clips from the Women's March are related to our present chapter in social studies. We will discuss how different parts of the Women's March compare to Gandhi's March to the Sea and other effects of Gandhi's nonviolent actions. We will discuss the causes and effects of the Women's March. Difference between facts and opinions. Independent Practice: Two paragraph short answer: Why did we discuss the Women's March? What did you learn? You may write this in your notebook or on looseleaf. Homework due Thursday, and Friday, December 8, and 9, 201: Both of the assignments below are due on Friday, December 9, 2016 at 8:00AM. Classwork, Wednesday, and Thursday, December 7, and 8, 201: Substitute teacher. Read Section 1 "Geography and Early India," pages 124-129 in the social studies textbook. 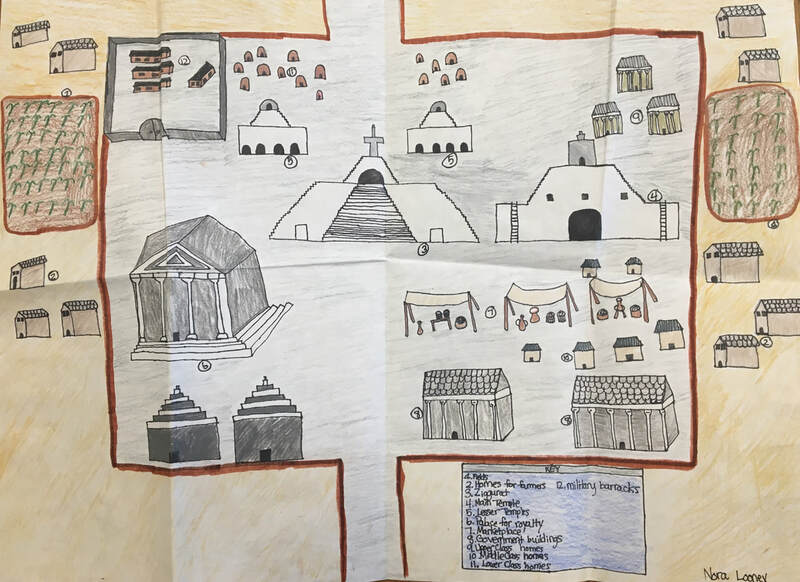 In your social studies notebook, answer the FOUR READING CHECK QUESTIONS found on pages 126, 127 (the analyzing visuals question found on the drawing), 128, and 129. ANSWER THESE QUESTIONS IN RACE FORMAT, IN COMPLETE SENTENCES, AND IN PARAGRAPH FORM! You will redo the assignment if you do not answer the questions in the RACE format. I recommend that you complete this Section 1 for homework on Wednesday if you did not compete it in class on Wednesday. Read Section "Origins of Hinduism," pages 130-135 in the social studies textbook. In your social studies notebook, answer the FOUR READING CHECK QUESTIONS found on pages 131, 132, 134, and 135. ANSWER THESE QUESTIONS IN RACE FORMAT, IN COMPLETE SENTENCES, AND IN PARAGRAPH FORM! You will redo the assignment if you do not answer the questions in the RACE format. THIS IS A VERY LONG ASSIGNMENT. I highly recommend that you do not fool around in class, stay focused, and get as much of this work done in class as possible. ALL EIGHT OF THE QUESTIONS ARE TO BE COMPLETED FOR HOMEWORK BEFORE FRIDAY MORNING! This entire assignment is to be completed by Friday morning. Be prepared to attend lunch detention if this entire assignment is not completed by Friday morning.